Learn why it’s best to replace your belts BEFORE they fail! One component of your car’s engine that doesn’t get nearly as much attention as it deserves is the serpentine belt. This long piece of rubber is like the energy drink that keeps your car going and going. Knowing when to invest in a serpentine belt replacement can save you a lot of hassle. What Does a Serpentine Belt Do? The serpentine belt keeps your engine’s auxiliary parts moving. It weaves around several components of the engine, delivering power to systems that your vehicle can’t function without: the alternator, power steering and the air conditioner. A worn or damaged serpentine belt is more likely to snap, and once it snaps, the car ceases to function. That seems like a lot of pressure to put on a piece of rubber, but consistent maintenance and observation will minimize the chances that your serpentine belt reaches this fragile point. Without the serpentine belt, your steering wheel will become nearly immovable, your air conditioning will cease to work, your engine will overheat and your battery will die. Suffice it to say that none of these things are fun to experience in the middle of a Gilbert, Arizona summer. When Should It Be Replaced? 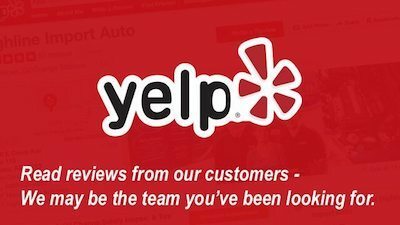 Your car care expert can help you determine if the belt is the cause of your worries. Once damage to the belt is found, it’s vital that the repair is done. Ignoring serpentine belt problems can lead to permanent damage and even higher repair bills. One way you can prevent catastrophic serpentine belt failure is to simply have it replaced before it breaks. The typical life of a serpentine belt is between 60,000 and 100,000 miles. If yours hasn’t ever been replaced and you’re well within this mileage range, it’s not a bad idea to replace the belt before it dies of old age. Many cars are equipped with an automatic tensioner to ensure that the belt holds the right amount of tension. A belt that is too tight or too loose can’t do its job, so maintaining the tensioner is another crucial task. Repairing a serpentine belt before it snaps can save you from breaking down. 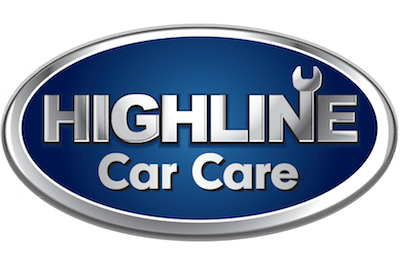 Contact Highline Car Care to have your serpentine belt inspected and replaced if necessary.